This will be the last blog award I follow up on… Sorry… I am not blogging for awards, I blog for my readers, and although awards generates lots of traffic to my blog, what’s the point if they are not the ones interested in what I write? I have received another blog award!!! Thanks, to the Nlistblog for picking me as one of 5 recipients! I agree with everyone who thinks that these blog awards are a bit like chain letters and when I get one, it is bitter-sweet. I LOVE that someone loves me enough to send me an award. Snow and below zero temperature. So go check out these awesome blogs!!!! 2) Toss the rules to the side of the road and do whatever the hell you want with it!! The “One Lovely Blog Award” has similar rules to many blogging awards. Here’s what I have to do! I hope you enjoy checking out the 15 Blogs I am sharing this award with they each have their own lovely way of sharing with the world! I am not quite sure of whether I agree to all these awards, there are some I haven’t answered… Sorry… But this time I thought I should point at some of the newbies in my list, and give them a traffic boost! There are a couple of “old” ones here too… So here goes! I received this award/nomination via the generous act of Thomas at http://onlyhereonlynow.com/. Thank you, I love your comments! I love the idea of this award. It makes its way through the blogging world in a lovely and serendipitous dance. You receive it and then pass it on to seven others and so on. It’s a chain letter of praise and respect generated by writers for writers. I nominate the following seven wondrous blogs. 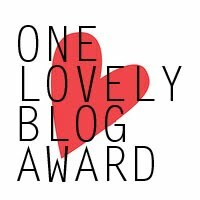 I am greatly appreciative to Bella Bleue who shares her wonderful blog, http://bellableue.com/for the nomination for the “One Lovely Blog Award”. I visit her blog for inspiration! I hope you enjoy checking out the 15 Blogs I am sharing this award with they each have their own lovely way of sharing with the world! thank youu for the nomination ~*~ it is an honor to make your list and tho i am not into awards or anything of the sort, i’d like to express my gratitude for your beautiful and generous support ! You’re a diamond, thank you! I nominated you too 🙂 Just love your entries. Thank you for nominating my blog for One Lovely Blog. I am honored. 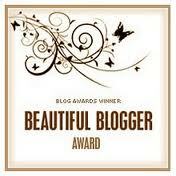 I’ve posted my acceptance: http://geniespeaks.wordpress.com/2012/06/18/one-lovely-blog-award-4/ Thank you again. Wow, take a little break and find this..thank you. I will take care of answering these questions when I’m on my desktop. Thank you for nominating me as well and naming me in your list. It put a huge smile on my face this morning! I’m so excited! It means a lot to me to know that you enjoy my blog, especially since I’m a newbie. Thank you again sooo much for appreciating my writing. Thank you for the nomination 🙂 It made me happy this morning 🙂 i only just started blogging, so it’s quite encouraging 🙂 Thank you! thanks very much! I greatly appreciate the nod…I, like you are doing now, stopped following up with awards years ago…been blogging a long long time 🙂 …it’s still always an honor when someone names me. best to you!